Weight (per chassis, without tubes) 36 lbs. Krell Industries is showcasing their new Foundation ($6,500), which is the latest in a long line of state-of-the-art A/V processors. Featuring the latest digital connectivity, the Foundation also maintains Krell's exacting standards for analog audio reproduction. From decoding the latest lossless audio formats, extensive digital switching, 3DTV pass-through, and more, the Foundation is fully compliant with the digital age. Yet the 7.1-channel processor also features balanced audio outputs, automatic setup and room EQ, and Krell's legendary robust hardware. A slim new form factor exudes the Krell aesthetic, while allowing placement in smaller equipment racks. In addition to 10 HDMI 1.4a inputs, the Krell Foundation has two HDMI outputs, both of which feature Audio Return Channel. With ARC, a display device is able to send audio back down the HDMI cable to the processor. This is beneficial for those with televisions with built-in web streaming capability like Netflix or Pandora, so the streaming audio can use the full home theater system instead of just the TV's speakers. The Foundation naturally allows you to take advantage of audio soundtracks, with decoding of Dolby Digital, Digital Plus, Dolby TrueHD, DTS, DTS-ES Discrete, Matrix, and DTS-HD Master Audio. In addition, a full suite of post-processing modes are included, including Dolby Pro Logic IIx and DTS Neo 6. Krell's proprietary surround modes, Party, General Admission, Front Row, and On Stage, offer a different way to listen to favorite tracks. The Foundation also features Krell's Automatic Room Equalization System (ARES), to ensure the best possible performance from every room. To allow full integration into a home automation system, the Foundation has Ethernet control, RS-232, 4 12v triggers (2@0.5A and 2@60mA), and RC-5. Krell Industries also announced their Connect ($2500 for digital only and $3500 with optional 32-bit ESS Sabre DAC DAC), a high-resolution audio streaming technology that handles everything from FLAC to WAV, MP3 and WMA. The Connect plays back up to 24-bit/192kHz audio plus Internet radio. The USB and Wi-Fi-equipped Connect is available in two forms: digital only, or with a built-in Digital-to-Analog Converter (DAC) module. The DAC-equipped Connect has a 32-bit ESS Sabre chipset with discrete, direct-coupled analog circuitry outputting via RCA or balanced audio outputs. 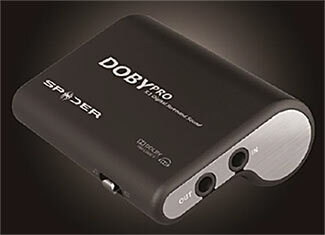 The digital-only version has both coax and TosLink optical outputs. "We wanted to offer our exacting customers a streaming audio product that lived up to our high standards," said Bill McKiegan, Krell President. "From the Krell-tuned DAC to the easy-to-use interface, the Connect is the pinnacle of network streaming audio gear." Extensive audio libraries are easy to navigate via the Connect's built-in 3.5-inch QVGA LCD screen. Alternately, full-featured iOS and Android apps offer full control from anywhere in the home. In addition to playback of FLAC and WAV files up to 192kHz/24-bit, the Connect also streams Ogg, WMA, and MP3. Unlike some music streamers, gapless playback is possible, allowing for no breaks between album tracks. Live concert albums, for example, can be played as a seamless, uninterrupted experience. Internet radio with Vtuner gets the same conversion as the high-resolution files (on DAC-equipped models), providing the best possible sound quality from online streaming content. 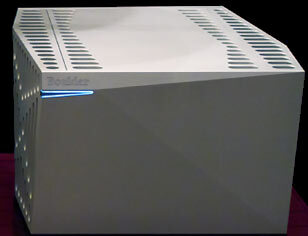 Boulder Amplifiers announced their new 3060 ($115,000) Class A ultra-reference stereo amplifier at CES 2013. Weighing in at a hefty 450 lbs. and producing 900 wpc, the 3060 is the largest and most powerful stereo amplifier ever released by Boulder. All audio circuitry within the 3060 is linear Class A, primarily derived from Boulder's 3050 monoblock amplifier. Bias current is actively monitored and adjusted in order to increase efficiency and reduce wasted radiated heat energy. The 3060 utilizes 120 output devices to generate power output of 900 watts per channel into any load. The Boulder 3060 is capable of immense current swings, enabling the amplifier to drive any loudspeaker. Note that units will only be shipped operating at 240V AC mains feed (no 100V or 120V units will be produced) in order to guarantee full-rated power output. A complete array of protection and status monitoring circuits are continuously active. All metalwork is cut on Boulder�s own CNC machining centers and features the distinctly modern, angled appearance unique to all 3000 Series products. A black granite and stainless steel platform is cut and polished to match the angled surfaces of the amplifier and is shipped with each 3060. Cambridge Audio has three new products here at CES 2013, the 752BD Universal Upsampling Blu-ray player plus receivers 751R 7.1, 651R and 351R. Their 751R and 651R are 7.1 audio/video receivers whilst the 351R is merely a 5.1 unit. The new Azur 752BD universal upsampling Blu-ray/DVD/CD player is the best unit from the company to date! The 752BD also plays just about every digital file you can throw at it, and accesses network streaming services too. From memory sticks and portable hard drives, smartphones and tablets, or via set-top boxes and games consoles, the 752BD can handle it. It can easily access your harddrives, laptops and desktop machines via Wi-Fi/Ethernet. There is also support for Internet streaming services such as YouTube and Picasa. Of course this being Las Vegas, you also get some interesting twists on things. Here we have the new Spider Product mini surround sound home theater essentially in your head. Two new items, Moonlight Studio Monitor circumaural ($350), noise isolating headphones and Doby Pro headphone amplifier ($100). This is claimed to be the world's first headphone amplifier to utilize Dolby 5.1 surround sound. The integration of 5.1 surround sound technology with Spider's mobile amp device allows for 10 hours of battery life. 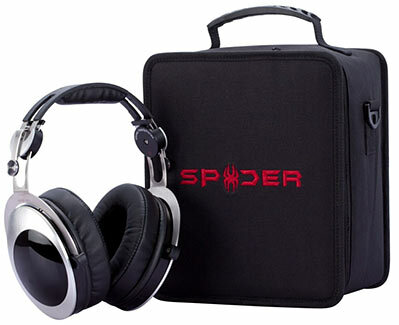 The Moonlight Studio Headphone is Spider's flagship for the most demanding home listeners. Premium leather ear pads with memory foam and an all-aluminum housing and light-weight frame create hours of listening comfort. Superior isolation and noise-canceling ensure a quiet environment with full audio spectrum reproduction from the 10 Hz to 26 kHz. TEAC America's new Reference 501 Series includes the UD-501 DSD 5.6MHz/PCM 384kHz capable dual monaural DAC. 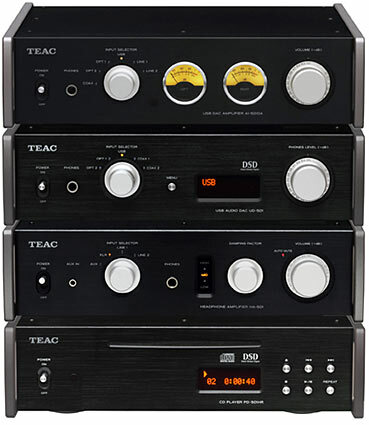 TEAC's new UD-501 is the star of the 501 series with support for DSD 2.8/5.6MHZ file native playback by ASIO 2.1 or DoP methods or up to 32-bit/384kHz PCM. Teac also packed this unit with two 32-bit BurrBrown DACs per channel and JRC MUSES op amps, dual monaural design, fully balanced XLR. The AI-501DA integrated power amplifier with 192kHz USB digital audio inputs and low power consumption is the powerhouse of Teac's new 501 series. 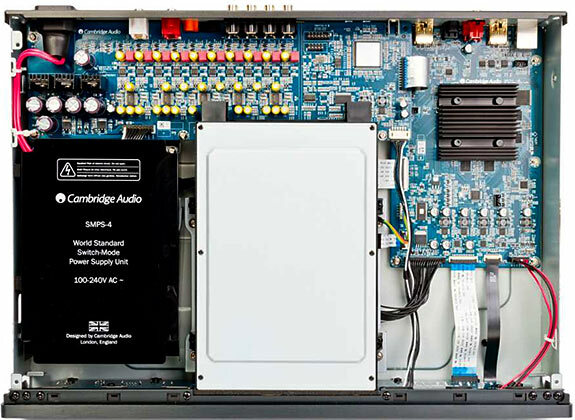 Hosting a BurrBrown PCM5102 D/A Converter, USB connectivity, Class-D ABLETEC Norway amplifier and a toroidal-core power transformer makes the AI-501DA a key component for the 501 series or any other two-channel audio system. Teac's PD-501HR is a high-quality disc player with 5.6MHz DSD file native playback and up to 24-bit/192kHz PCM on recordable DVD discs. Featuring unique VACS (Vibration Acoustic Control Structure) to control vibrations plus separate power supplies for analog and digital sections. Lastly, Teac's HA-501 is a fully analog, dual monaural headphone amplifier operating in Class-A. The HA-501 features and adaptable options including DC Servo Technology, Switchable damping Factors, High Output Power, and a large Toroidal-Core Power Transformer. The unit produces 1400 mA/ch (32 Ohm loaded) to drive high impedance headphones as high as 600 Ohms.